Are you tired of your hectic routine? Does it make you feel a little low when you come home from your job and start working on your blog? So probably you’re worried about your Blog’s Affiliate Sales… Right? Stop worrying about your blog’s slow progress, if you aren’t happy with your blog, you can’t convince your readers on what you believe in and what you’re saying to them… So flare up! Be ready to show some magic, firstly you need to identify what’s going wrong on your side, trust me, if you finally make improvements in your overall strategy (blog, content, layout, social media appearance, social interaction, and working patterns), you’ll see your blog will start progressing and giving the affiliate sales. 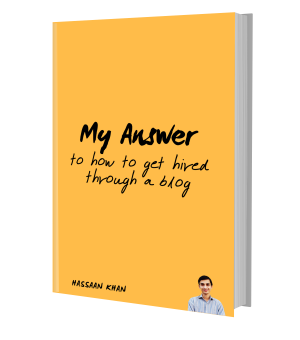 How can you improve your blog’s conversion when you already started mini blogs inside your one blog? Never distribute your organic traffic into chunks. It’s kind of less focused content strategy that makes you unaware, after all. But, you shouldn’t be getting attention out of your niche – you might be serving some audience but not the right audience or your audience to be specific — so it’s not an ideal thing to do. When freelancers, content creators, and bloggers work so hard, and create value for the certain audience then they deserve appreciation… So it’s like you’re working hard, helping a different kind of readers and completely fine without getting appreciation. Helping a variety of readers isn’t a problem but rather a waste of energy into something that you never promised for. How on earth would you run a business when you don’t know who to sell? Obviously, you aren’t a superman. People never hesitate to call Blogging and Content Marketing a Business – Recently, Samar Owais, a well-known freelance expert wrote a guest post on Copyblogger on Freelancing, and She emphasized on calling the freelancing a business – And I agree with her. Make specific targets with your content and blogging as well – buckle up and pinpoint the specific audience you’re going to help. 3 – You are not leading them into the right direction. Admit it, you’re not helping them. How can you say I’m not helping my readers? No collar-thing here, okay… Calm down! I don’t doubt your Content Creation abilities – I know you can produce high-quality content to make your readers happy, but think of yourself as well, I’m not saying compromise on the quality or decrease the quality just to make money…nope! Do the same, even better. Do it more to produce quality content and help your readers – just tune up your strategy to make your work pay off well. If you’re promoting a software of PC management and utility (which actually repairs user’s computer, maximize the performance, removes the cache and makes the computer fast and refreshed), all you need to do is, keep on telling your readership about the benefit of a healthy computer – You always have to tell about the Windows or operating system management – You always have to discuss the anti-virus softwares. Despite the fact that you are being praised for the quality of your content, and you also believe your quality of content is comparatively better than him? I’m not blaming you – I just want to make sure you get my point clearly, because I’m more than on your side, and want to deliver my ideas of content and affiliate marketing techniques to improve your sales and conversion rate. This might blow your mind – You are probably thinking of people what you want to think – Believe me, sometimes I myself do that. Personal experience is a virtue in blogging. It has always been and will always be bloggers’ one of the greatest powers but that shouldn’t make you entirely focused on yourself. You might have missed a combination of juice. The ‘color, taste and fruitiness’ are the parts of that juice. Readers hate boring content, and they don’t want philosophies, they want ideas. Ideas that can work and show the results. It’s particularly unfair to discuss ‘Affiliate marketing and early results’ – But, as far as you need quick sales, obviously we all as affiliate marketers would love to get early sales, but authority takes the time to build up. Your prospect might end up a little frustrated with you when you make an image of yours as a marketer – Well, you are, and you shouldn’t be worried about it… But you have to learn that how you can change your image into a blogging unicorn that sounds like a lightning rod. You have to disciplined with your blogging. Because if you succeed in blogging, the affiliate marketing would automatically work for you. If you keep thinking about the affiliate sales, you might end up getting nothing in the end. So, you better start focusing on helping the readers and creating useful content for them. What will you do to improve your affiliate marketing conversion rate? I hope that Your article will surely help me to get more Leads. The article is really worth reading. I have PR 2 website but affiliate sale zero. First few problems are with me. Haseeb, I can understand, I have seen this. It’s bad and painful. But trust me, taking the pain for right audience and giving them some awesomeness really work! Great article posted,nice tips are shared on getting more affiliate sales. Really incredible and interesting article. Keep the good work. I really appreciate your effort on putting such thoughts in the post. Thanks for checking that out. I hope you’ll check out the latest posts as well. Its really commendable effort by your team. Really impressive effort. Awesome blog really helpful for us. Glad you shared this with us.